Check out APHA's Get Ready hand-washing timer. Fill out this form and they'll send you up to 3 FREE!! This Sunday, January 16, you should see the Proctor & Gamble coupon insert in your newspaper. There will be many great coupons for items such as Crest toothpaste, Vicks, Frebreze, Pringles & more! Go here to check it all out . . . and remember that coupon values will differ by region! Did you ever have a store bought frozen pizza that you literally crave? 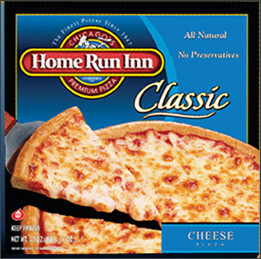 If not, then you probably never tried Home Run Inn pizza! At first glimpse in your grocer's freezer it doesn't look like anything too special. The box is somewhat small and can be easily overlooked. Once you pick it up, you'll notice how heavy it is! That's because it is jam-packed with yummy goodness. One thing's for sure . . . you can't judge a frozen pizza by the box! Home Run Inn pizza is amazingly delicious. The crust is firm yet flaky. The cheese is real cheese that melts perfectly and tastes heavenly. The sauce is so uniquely flavorful and tastes truly authentic. It satisfies your pizza craving without leaving you feeling heavy and greasy! At my house we often prefer to run out to the grocery store to buy this pizza instead of calling for delivery! Yes, it's that good! Head on over here to find a store near you that carries Home Run Inn! (You should be able to find it at Harris Teeter as well as Super Kmart!) While you're at the site, be sure to sign up for the Home Run Inn MVP club--you'll have a chance to win $1,000! Plus, you'll be entered to win a free pizza pack sent straight to your door! Since we absolutely love Home Run Inn pizza, we want one lucky reader to try Home Run Inn pizza & fall in love! Mandatory to enter this giveaway: Fill out the form below for your chance to win FREE PIZZA! The Fine Details: This giveaway will end on January 20, 2011. Winner will be notified by email and has 48 hours to respond. If no response, another winner will be chosen. The winner will be chosen by random via random.org. Home Run Inn was generous enough to send us a coupon for a free pizza for review purposes. 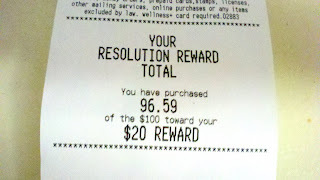 We decided that we want to pass this coupon on to one of our lucky readers! So one of you lucky readers will receive a coupon in the mail for one free pizza from Home Run Inn! Go here to fill out a short questionaire and you will receive a coupon for a FREE bottle of High Country Kombucha Tea! Luckily it's sold by me, check here to see if it's in your neck of the woods (do I sound like Al Roker or what?!). My mom actually makes her own Kombucha tea . . . it's amazingly delicious! Join Nasoya Tofu U for Coupons & FREE T-shirt & More! Take the Pledge! 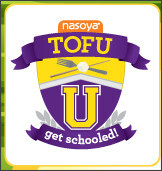 Take the pledge to join Nasoya's Tofu U and you'll get coupons as well as cool gear like a T-shirt! All you have to do is go here to take the pledge. You will instantly get a $1.00 off coupon (this will double at Harris Teeter through today . . .or if you have a Farm Fresh it will double tomorrow!) for any Nasoya product! Each week you will get a coupon sent to your email. Upon completion, you will get a FREE gear (like a t-shirt)! Sounds like a fantastic graduation gift to me! By taking the pledge you agree that you will eat tofu (cooked at home) once a week for a month! You can also get a high value $1.25 off one Nasoya Tofu coupon here! I like tofu in smoothies. What are some of your favorite tofu recipes? 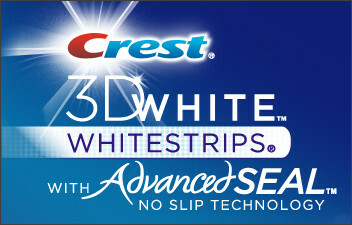 Freebie: Crest 3D White Advanced Seal Whitestrips for FREE! Head on over here to request a FREE sample of Crest 3D White Advanced Seal Whitestrips from WalMart! FREEBIE: Nescafe Taster’s Choice coffee samples!!! Head on over here to get a FREE SAMPLE of 5 Taster's Choice single serve varieties! !